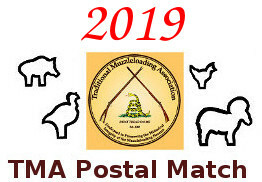 Support Traditional Muzzleloading - Join the TMA! Re: The TMA is on Facebook! Speaking of the Facebook thingie, I noticed a topic there about it is going to be closed down because of a vote of the BOD to do that. Live simply. Love generously. Care deeply. Speak kindly. Leave the rest Up to God. "A man's WORD....is his total value!" No! I don’t do Facebook! "There ain't no freedom...without gunpowder!" I cancelled my Facebook page awhile back due to the fact they are censoring the 1st and the 2nd amendment. They're un-american communists and against the constitution and patriots. There's lots of proof online. Ditto! Well, except for the cancelling part; I've never been on there, never saw the need for it. But another site I am on has about dried up because everyone went over to Facebook. A shame, because it was very active with traditional archery (and M/L). Just my opinion,.... but after checking your 2 links above, it looks like our TMA site has a much better format than facebook offers,.... what seems to be the "draw" towards facebook, versus our TMA forums? The first link is our informationall page - just to let folks know we are here & who we are. The second link is our FB group page - there are plenty of discussions there. About 5300 folks right now. I just looked at the 2nd. link again, and I still don't see what facebook itself, has to offer that our TMA site doesn't. IMO TMA shouldn't be on FACEBOOK and if I were on the BOD I'd vote to pull it!! Rick,.... the TMA needs all the exposure it can get, so we also have to take that into consideration before even thinking about shutting down the facebook page. When I voted to get involved with facebook, I was under the impression that it would be used as an avenue by which to steer other "traditionalists" (here) towards our TMA site. Sadly to say,.... I have yet to see much of an indication, as to that actually taking place. In fact,.... as posts on the TMA forums seem to slowly dwindle, maybe the opposite is happening.